I love the Golden Circle and the Secret Lagoon was a positive experience. Lagoon is fantastic place! 4 hours for swimming. Golden circle - each stop 1 hour and more. A good trip with a knowledgeable guide. Not enough time (45 mins) at Thingvellir national park though, partly due to the weather though. About 1hr or so each at Geysir and Gullfoss. Too much time was given to the Secret Lagoon, 4 hrs, everyone was ready to go after 3 though so we left then. Absolutely fantastic! Our guide was great. The lagoon was the highlight. A must if your visiting Reykjavík! 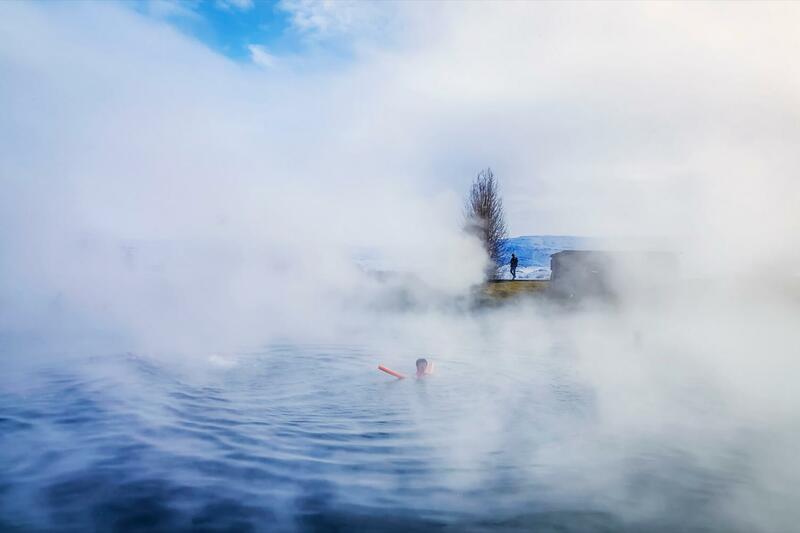 Combining the Golden Circle and Secret Lagoon, this breathtaking tour takes you on a wondrous journey through Iceland’s staggeringly raw beauty and ends with the ultimate Icelandic indulgence: a luxurious soak in a geothermal pool under the open sky. Go on a journey that brings you the experiences of walking among geologic marvels, witnessing an erupting hot spring, discovering a magnificent waterfall and unwinding in an outdoor geothermal pool. 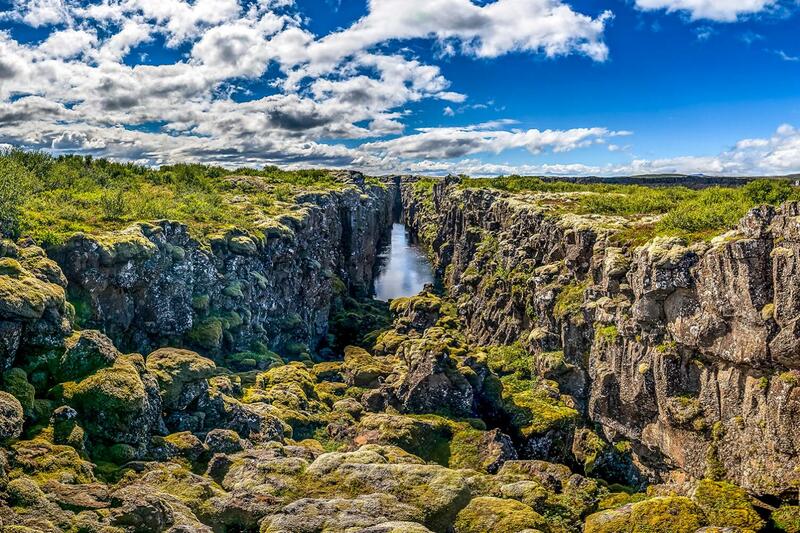 Þingvellir National Park is located in a rift valley where the Eurasian and North American tectonic plates meet. It is a site of great historical, geological and cultural significance and has been designated a UNESCO World Heritage site. Þingvellir is the birthplace of the Althing Iceland’s parliament founded in 930 AD where the nation’s most powerful leaders would meet to decide on legislation and carry out brutal Viking age justice. 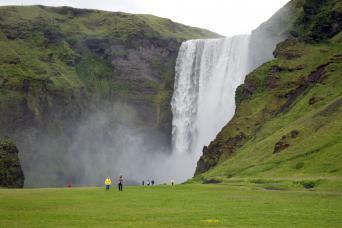 The tour continues across an area of picturesque scenery to the mighty Gullfoss waterfall. Once there, you can take several paths around the two tiers of cascading water to explore several vantage points. 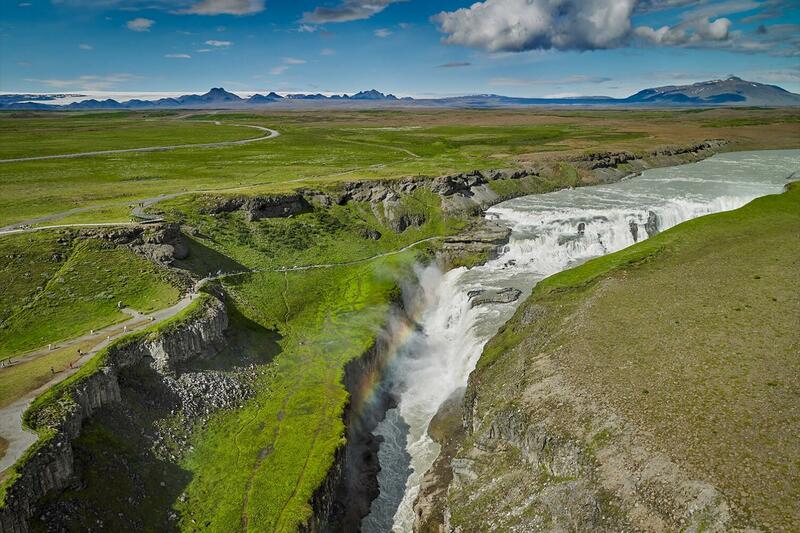 Extra time is allotted at this location for a lunch break at Gullfoss Café where food is available for purchase. 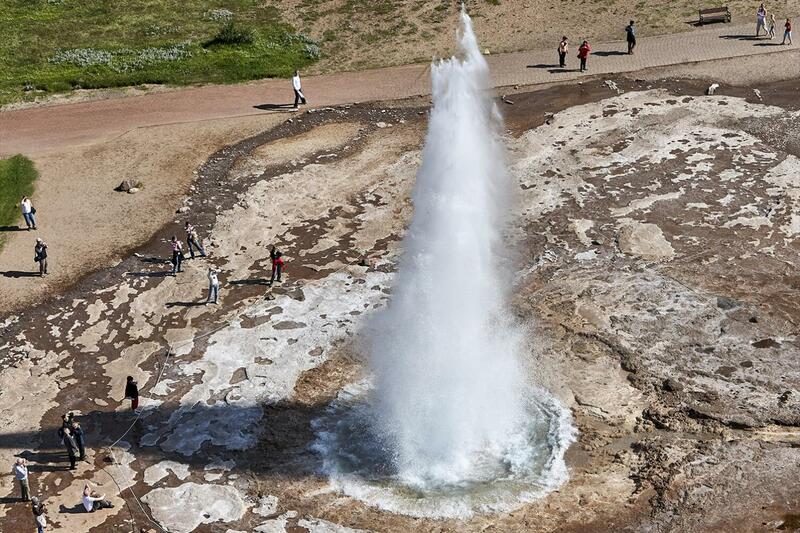 Next up is the home of “The Great Geysir” hot spring, which all geysers are named after. This area is an impressive collage of bubbling mud pools, hissing steam vents, and colourful algae deposits. Strokkur geyser puts on quite the show every few minutes blasting boiling water high up into the air. Just off the Golden Circle is the Secret Lagoon, a spring-fed pool located near the charming village of Flúðir in South Iceland. Mineral rich geothermal waters from nearby hot springs stay at a steady temperature of 38° to 40°C, making the Secret Lagoon’s water perfect for bathing and relaxation. 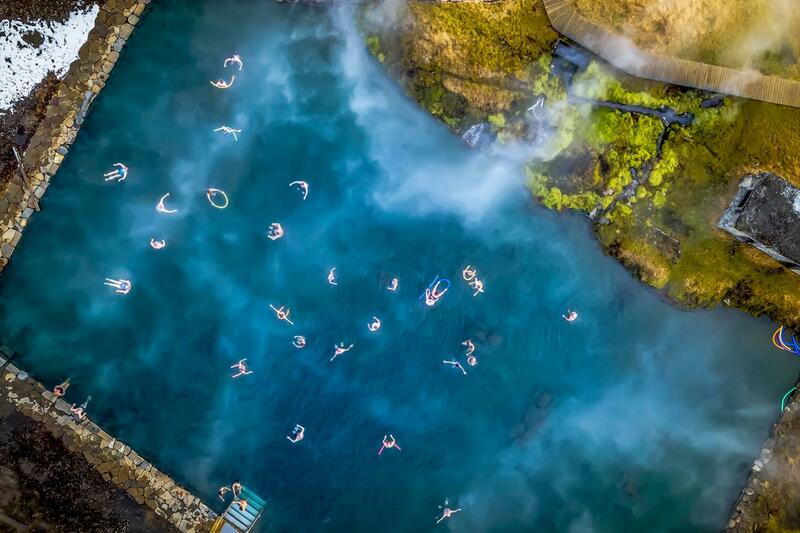 Over the years, the Secret Lagoon, or Gamla Laugin as it was referred to by the villagers, has been part of the local culture that is keeping alive the uniquely authentic experience of Icelandic open-air geothermal bathing. The Secret Lagoon offers neat and clean locker rooms, showers and changing facilities, as well as a small bar and dining area. Boardwalks and footpaths surround the pool enable guests to explore the small hot springs and other geothermal features in the immediate area. After 2 hours of enjoying the Secret Lagoon’s miraculous waters we return to Reykjavík, rejuvenated and refreshed. While any one of these stops makes incredible images for your Instagram feed, they also all have rich histories and fascinating tales, each told with their own nuances by our knowledgeable guides. Touring the Golden Circle and soaking in the Secret Lagoon is an unforgettable way to experience Iceland’s natural wonders for your body, mind and soul. The Gray Line Bus Terminal in Skarfabakki is the central departure point for our tours.